A mission of vengeance becomes a race against a deadly foe. 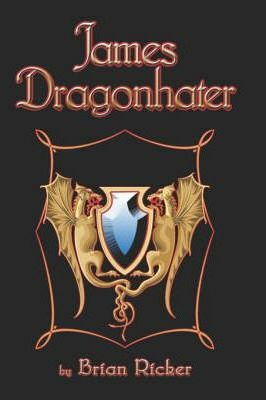 James Dragonhater comes into the possession of the mysterious Dragon Pendent and is launched on a mission to defeat the Black Robed Wizard. Fusing a mental connection with his half-elf friend, Alexandria Darkless, and his pet, an ice dragon named Phorcys, the young man unravels the truth about the mysterious man who was his grandfather, along with the truth about the three Gods. In the process, the warrior becomes the Legendary Dragon Master and, with the help of both his friend and a mysterious council who watches his every move, James faces the Wizard armed with only a sword and a vision of the future... Balance must be maintained at all costs..."